The electrical grid in the US comprises all of the power plants generating electricity, together with the transmission and distribution lines and systems that bring power to end-use customers. The modernization of the grid to accommodate today’s more complex power flows is known as the “Smart Grid.” The first chapter of this book provides recent developments on the Smart Grid. 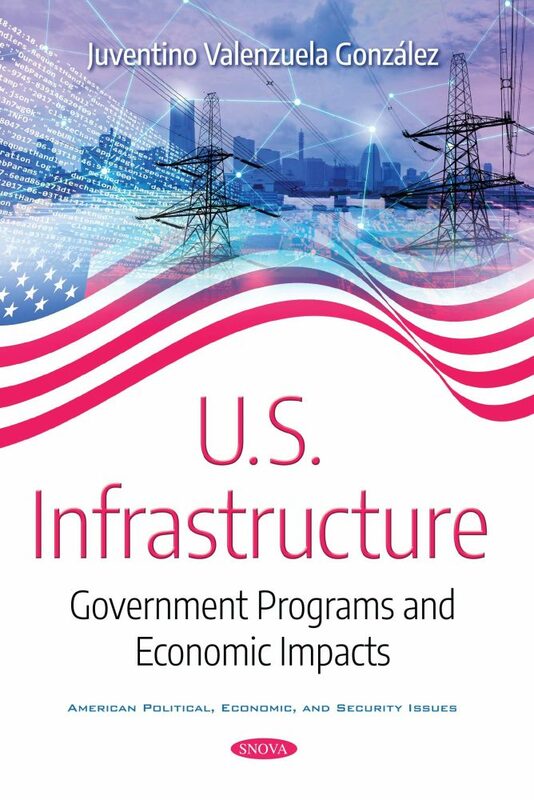 In the second chapter, the economic impact of infrastructure investment is explored. Infrastructure investment has received renewed interest as of late, with both President Trump and some Members of Congress discussing the benefits of such spending. The third chapter examines cybersecurity issues as they relate to critical infrastructure. Critical infrastructure is defined in the USA Patriot Act as “systems and assets, physical or virtual, so vital to the United States that the incapacity or destruction of such systems and assets would have a debilitating impact on security, national economic security, national public health and safety, or any combination of those matters.” The fourth chapter focuses on the “Water Infrastructure Finance and Innovation Act” (WIFIA) program, which provides several potential benefits, as well as concerns which are discussed in this book. The last chapter addresses a number of frequently asked questions about earthquake risk and highway system components, especially bridges.